Since AwesomeCalenar 4.3, we support URL scheme to integrate with third party apps. 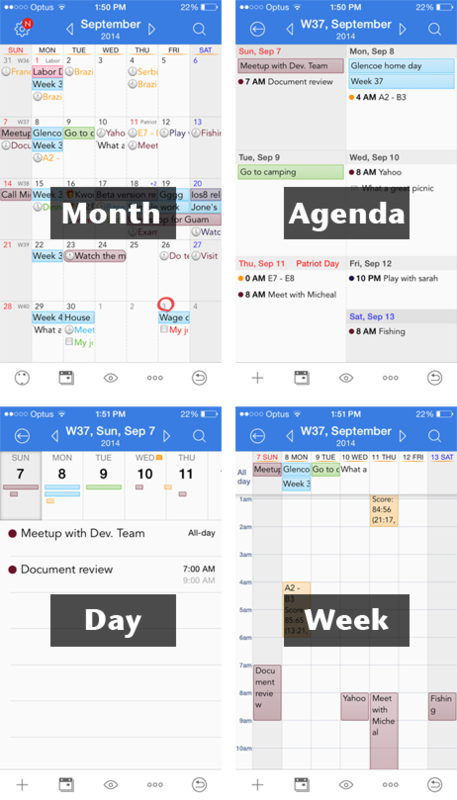 If you are a iOS developer and want to integrate your app with great calendar application, use below URL. – Just open AwesomeCalendar(Paid version) or AwesomeCalendar Lite(Free version). – Open app with specific view. date parameter is optional, if there is no date parameter, each view moves to today. – Open the specific event or reminder with calendarItemIdentifier. – Add a event directly. Every parameter is optional. – Add a reminder directly.